Good news. We're now offering our La Forge Royale Miter Jack Kits as a stock item. Available for immediate shipment. See all the details on our website. Reminder: Registration for FORP 3 opens at 7pm cst tonight! If you've done some "practice clicks" on the button, you should clear your browser's cache before tonight just to be safe. 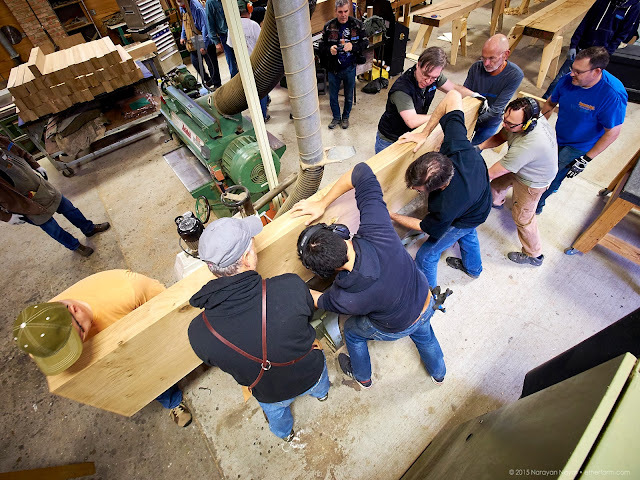 Registration for the French Oak Roubo Project III will open this Friday at 7pm Central Standard Time. To register, click here to be taken to the registration page at Benchcrafted.com. The button to register will be active at 7pm Friday. We have room for 20 participants. At past events, all available spots filled within just a few minutes. We suggest readiness at 7pm to ensure you get in. If you don't, you should send us an email at info@benchcrafted.com and request to be put on the waitlist. There is always a good possibility of cancellations due to unforeseen circumstances, so it's prudent to get on the list. After four years of catching our breath, and pining (oaking?) 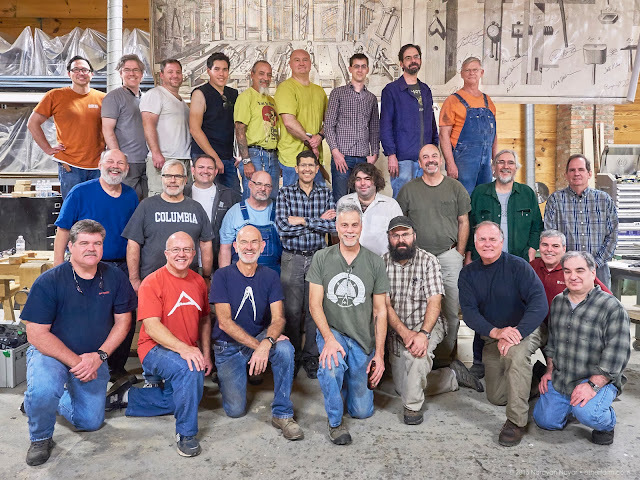 for another week building the sweetest benches with great people and amazing French oak from the Jefferson Administration, we're excited to announce The French Oak Roubo Project III! If you're new to the "FORP", click through here to read up on our previous coverage of the first two FORPs. Once you have a look at that, come back here for all the nitty gritty. Once again Bo Childs has unearthed another lost cache of massive white oak in France and shipped it across the Atlantic to his shop in Barnesville, GA. 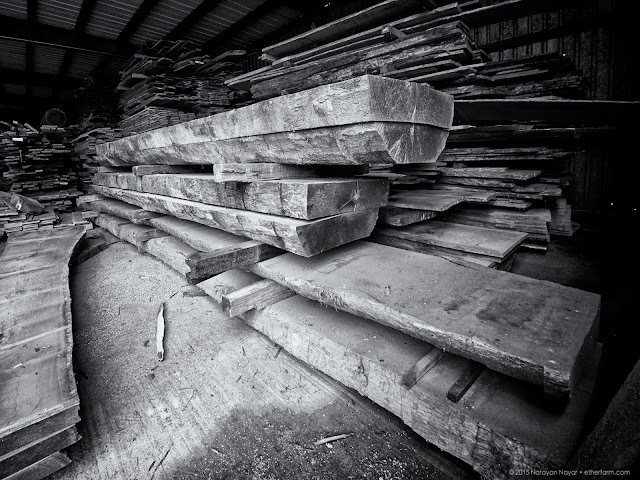 Most of the thinner timbers Bo sources goes for high end flooring, but after discovering what is perhaps the last of the really thick, really wide Jeffersonian Quercus Alba in the northern region near Normandy, Bo has decided that this wood should be made into legacy benches by enthusiastic woodworkers. In fact, these timbers are so massive and suited to Roubo-style bench making that every bench at FORP III will feature a one-piece, monolithic slab top, unlike at past FORPs, where getting a one-piece top was simply a luck of the draw. Now everyone will go home with the best top possible. 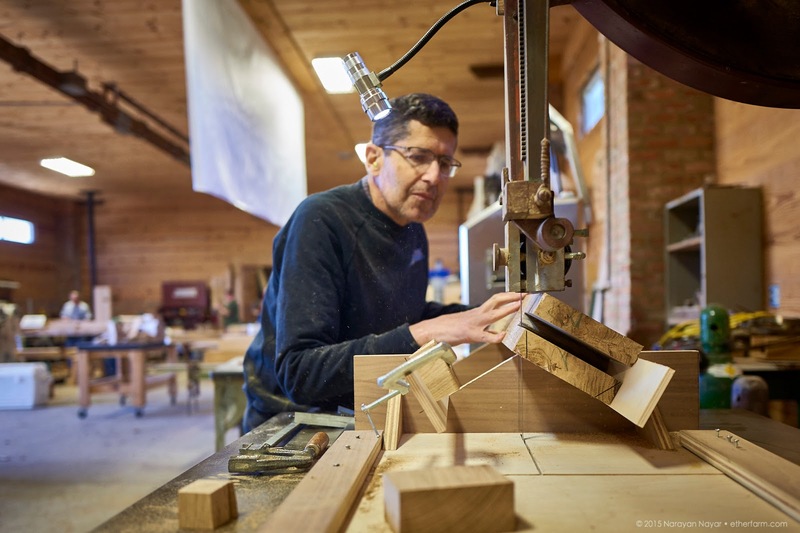 Every FORP participant will be supplied with a Benchcrafted Classic Leg Vise with Crisscross Solo, Benchcrafted Planing Stop, and a pair of Crucible Tool Holdfasts to install into their bench during the project. Tail vises or wagon vises (even our products) will not be part of this build. 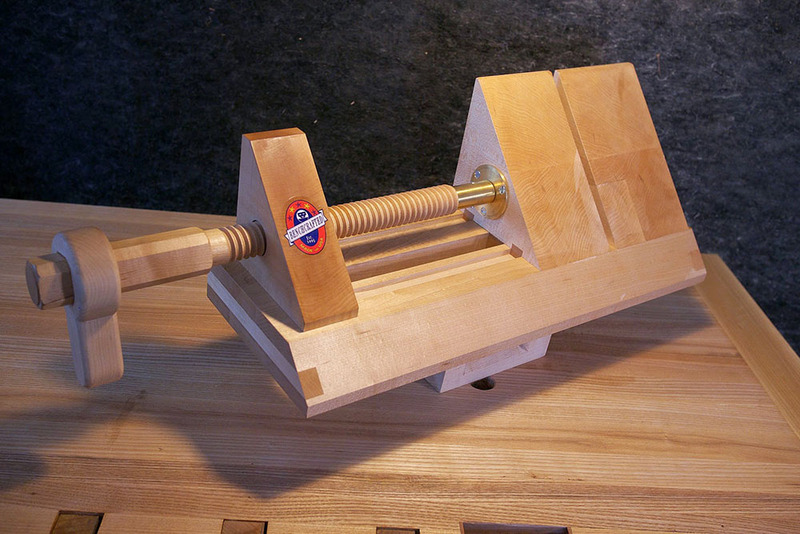 If a participant wishes to add a tail vise once they get back home, that is of course their choice. But no accommodation for these vises will be made or considered during the build. 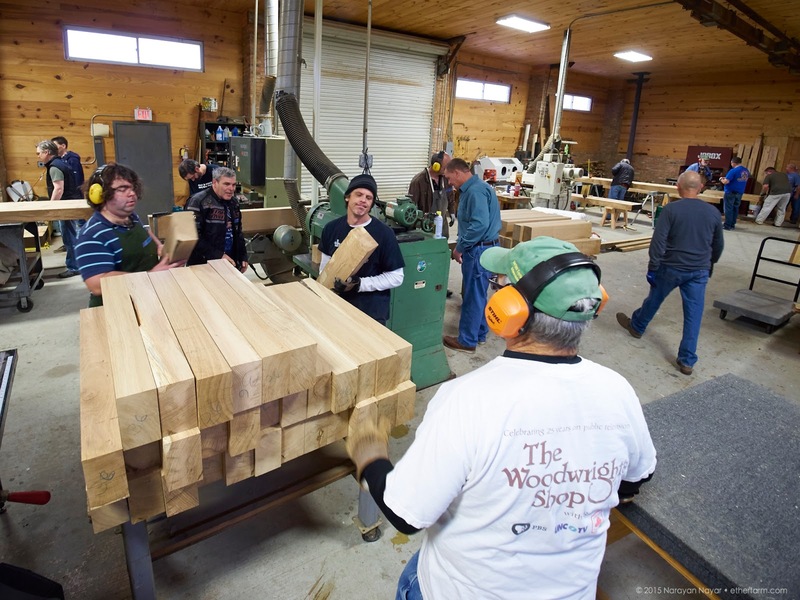 Each bench will feature a one-piece top of massive French oak, 6" nominal thickness (they usually finish out around 5-1/2") 20"-24" wide, and between 7' and 9' long. These variable dimesnions are necessary to yield tops that don't needlessly waste this precious material. Final top width and length will be determined on site at the time of the build. Participants will choose only their bench height. Each participant will be supplied with all the materials needed to build the bench as illustrated in Roubo's Plate 11, with hardware noted above. Wyatt Childs is nestled in the countryside near rural Barnesville, GA and as a full-time millwork and cabinet shop specializing in working with these amazing timbers, the equipment and layout that Childs' offers is unequaled for this event. We'll have access to a vintage Oliver Straitoplane which mills the tops flat and to thickness in just one or two passes. 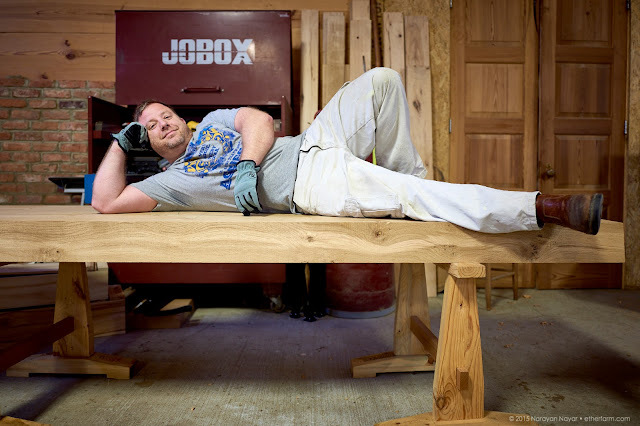 Make no mistake, this is a hand-tool bench, but we'll be using a tonnage of heavy iron to get the job done in five short days so we can focus on the fun part of cutting joints. 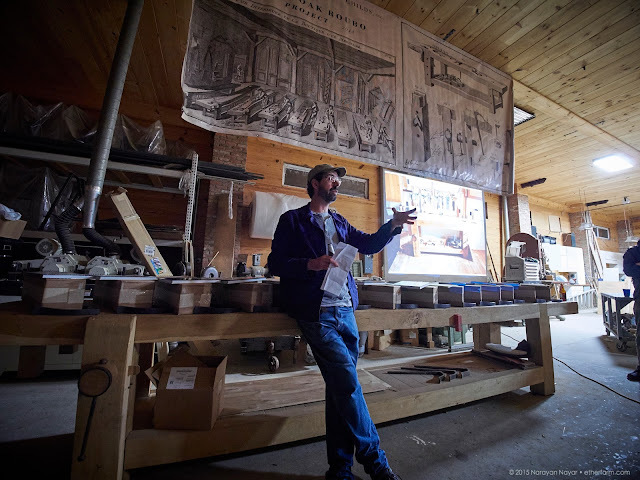 The massive lumber warehouse full of super wide European and N. American flitches (they are for sale) plus Bo's open-air displays of anvils, wrought-iron gates, granite watering troughs and the antique showroom will make you think you walked into Roubo's personal supply house. The shop we'll be using is a brick structure with high ceilings trimmed in yellow pine. The old-world vibe at Wyatt Child's is very real. Just who you'd expect. Abrahams, Brese, Childs, Fitzpatrick, Hoffman, Miller, Myers, Nelson, Schwarz, Williams, and perhaps some others of note. Schwarz's Educational Sausage Fest and tapping of the proverbial keg at Wyatt Childs. We build from 8am to 6ish, or until we drop. 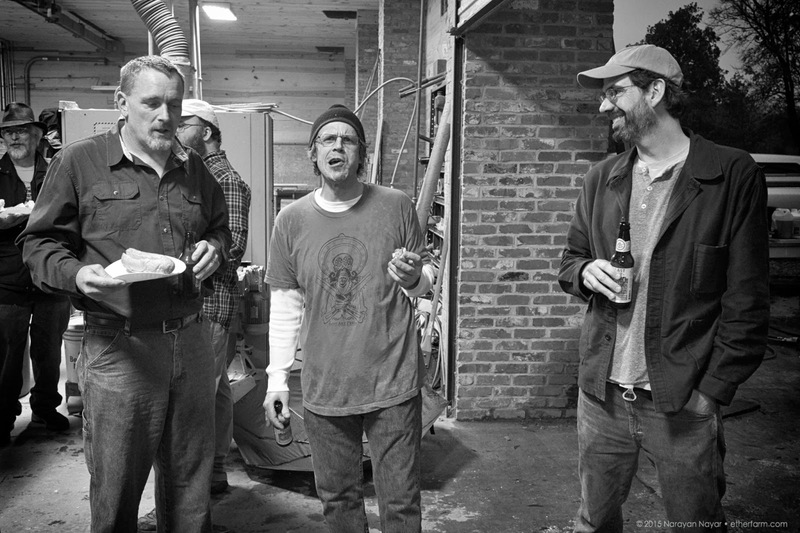 Thursday evening at the shop: BBQ and open house for friends, family and alumni. Friday: everybody stops after lunch to clean up and load up/crate up your benches and tools. No exceptions. A delicious, hearty, catered lunch that will leave you full and satisfied. Jenny, a local professional chef has delivered our lunches since FORP I and they are always excellent. Price: $5195 for everything listed above. We have room for 20 participants. Skill level required: if you're a rank amateur, this event is probably not for you. If you've got basic woodworking skills, there will be plenty of expert help and advice among the enthusiasts. We will instruct you. Tool lists will be provided to participants after registration. What's not included: Transportation, lodging, or freighting of your bench should you wish to ship it home. Wyatt Childs will assist with getting your bench on a pallet and arranging pickup via freight carrier. Early next week we'll post the day and time when registration will open. If you have any questions, feel free to comment below, or fire off an email to us at info@benchcrafted.com. 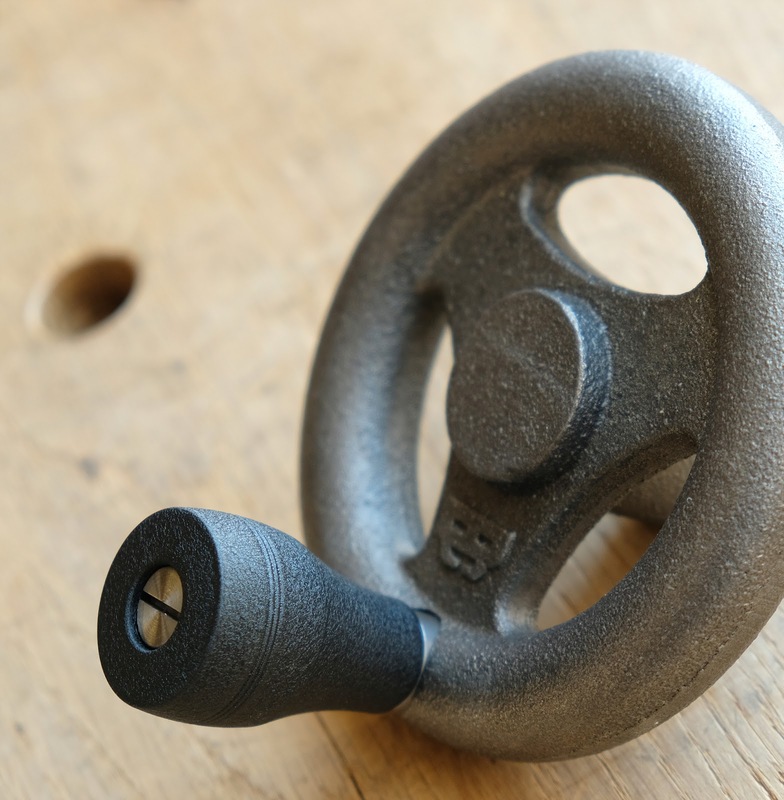 As of this posting, all our Glide and Tail Vises, both M and C series are now shipping with our new, aluminum knobs. Vises are no longer supplied with Dymondwood (M series) or infused beech (C series) The knobs are coated with a vintage-style finish seen on camera bodies, drafting equipment, electronics, and classic tools. The satin, black-wrinkle coating gives a great tactile feel that is superior in use to our previous knobs, which had a slick finish. A different aesthetic for sure, but one that fits with our ethos and product line. In the event a customer has damaged or misplaced a knob, please contact us directly for replacement options. To read a more in-depth post about this, click here. If you've followed our work for any amount of time you've known that we don't like to sit still. Although there's something to be said for keeping things static, the "traditional workholding" philosophy, we are also of the mindset that improvements should always be sought after, unless they veer too far from the path of tradition. Or, and let's be honest here, get too expensive. 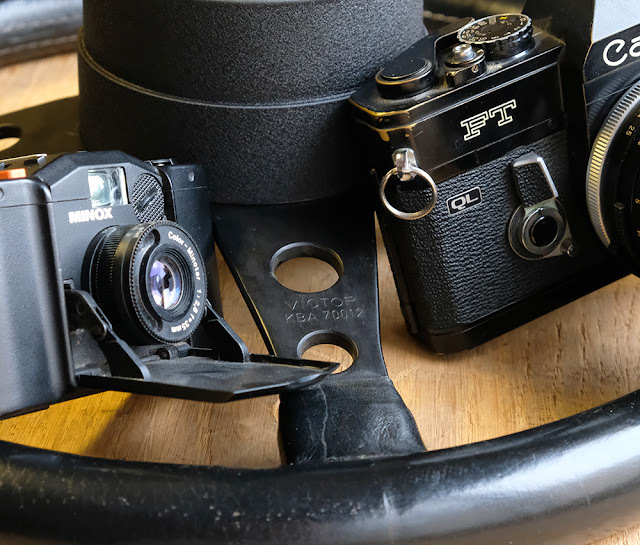 From the very outset we designed our vises not to a price point, but to a standard of design and function first, then we looked hard at how to make these things relatively affordable. There was a whiff of this in the air when we debuted our M series handwheels, and when we went to double lead screws and added two knobs to the Glide Leg Vise. We kept things under control by offering our C series vises, with simpler materials and finish, but equal function. Due to a number of circumstances beyond our control, we've come to another crossroads and decisions must be made. Metal prices have gone up. Labor prices have gone up. And being Iowa boys, down to earth midwest types, we've held off on raising our prices for (yes, we had to look it up) 7 years. Every few months our costs go up. The price of materials changes. Labor prices increase. What do we do? We eat it, and have been for 7 years. We try to make small, innocent changes that don't affect our product in order to keep from jacking the price up. In hindsight, what was done with a pure intent turns out to be a pretty bad way of doing business. Hopefully we can learn our lesson and gradually increase prices, when necessary, instead of making big increases less frequently. Over the course of 2019, you will see some of our prices go up. Some might not. We don't sit at desks like bean counters and carry our costs to the third decimal point. Believe it or not, we start with "what's a fair price" before we even look at our costs. It's how we'd treat a family friend, and it's how we view every customer. Somewhat related to the topic of pricing is the material we make our vise knobs from. That's about to change. 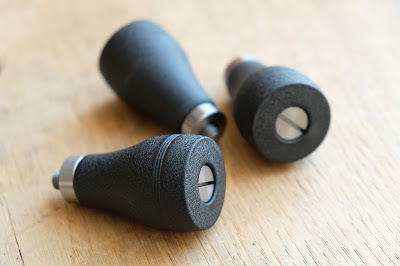 In fact, if you've placed an order recently, you will likely be getting vises with our new knobs. Because we can't just make changes without a rational explanation (more "Iowa boys" coming through) here goes. In the beginning we turned our own knobs in house (the person writing this is the "we") from cocobolo. I could only keep up for so long, and the cocobolo started irritating my body. We hired a professional turner to take over the work. Then cocobolo got really expensive and the government started controlling it, which made it even more expensive. So we moved to Dymondwood. Good stuff, looks like rosewood. Then the Dymondwood factory burned to the ground and they never rebuilt. We've been using NOS Dymondwood ever since. We've now run out, and for a brief period we used some knock-off Dymondwood from China. It was decent, but we had no idea what it was made from, and what kind of dust we were breathing when making them. Then we added infused beech. Also, good stuff, but sourcing wood, drying it, milling it, infusing it, then turning it ended up being another inventory headache. Then some uncontrollable parameters changed and the price of the knobs doubled. We had absorbed the increases for years, but this was one we couldn't. The cost on a Glide, with three knobs, would have increased more than anyone, especially us, would stomach. So here's where we're going. 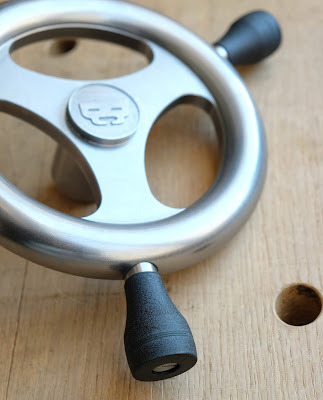 From here on out all our Glide M and Glide C knobs will be made from aluminum. Yeah, sounds pretty awful right? We thought so too. Until we started really thinking about it. Aluminum is the most abundant metal in the world. We have no problem sourcing it. It's ready to use. Those are all compelling manufacturing reasons. But how will it feel in the hand? That's what really matters, right? Anodizing? Makes for pretty colors, and is durable, but its fairly cold and harsh. Powdercoat? Perhaps too plastic-y to the touch. On the only contact point between the vise and the human body, we wanted better. Then it hit us as we were handling our cameras. Satin black wrinkle coating. Bingo. 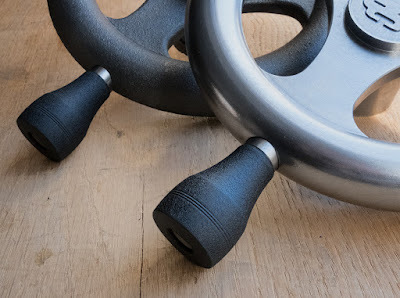 For decades this finish has been used on everything from the cameras that went to the moon, classic sports car interiors, tool handles, stereos and electronics. It has a tactile feel, its warm, and it looks great with our handwheels. Plus, its an economical choice that will allow us to keep our prices from getting out of hand. If you're into classic industrial design as we are, we think you'll love our new knobs. Are they a departure from the classic wood we've always used? Obviously, but we don't think they are any less, just different. And lets' face it, there's a lot of opportunity for exhibiting some exotic wood on a bench build. 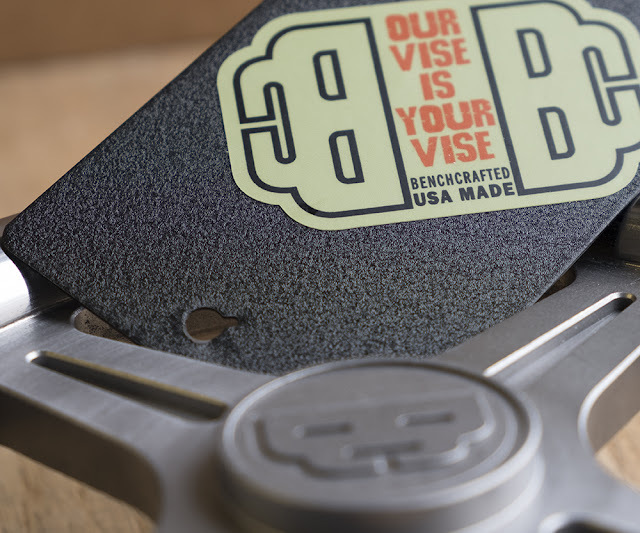 This way our vises will match any choice of wood you like for the rest of your bench. Watch for our new knobs in the next few weeks.